Ask any company these days if they are making the internet of things a priority and a clear majority will answer with a resounding yes. Ask them exactly what they are doing to make it a priority and the answer gets murky. It’s an interesting phenomenon and one that foretells a growing problem. 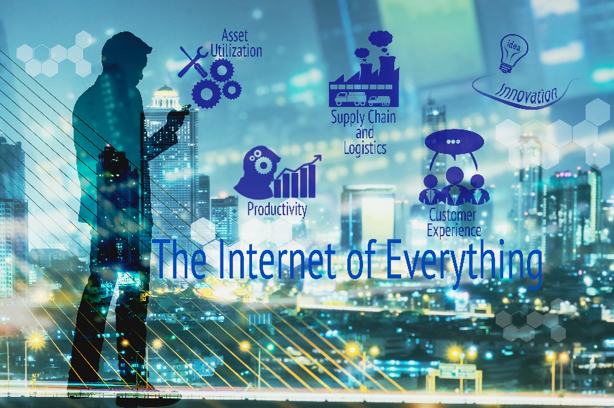 The IoT industry is so overhyped these days that virtually every company claims association to it; far fewer have found a business case with repeatable economic benefits that customers are willing to pay for. But that’s exactly what needs to happen for companies to rise above the IoT white noise and plot a course to business success. And that begs the question: How does a company make the leap from just talking about IoT to deploying IoT products that consumers want or need? As it turns out, it’s not that easy. Here’s why. Often, the decision to pursue an IoT product strategy is made at a management level. As that desire filters down to engineering, however, it takes on another context altogether and therein lies the problem. Many research and development engineers don’t consider themselves IoT designers. For most, IoT concepts weren’t part of their educational lineup. Instead, what they learned in college, and perfected in the workplace, was how to design widgets of all shapes, sizes and functionality. So, when they get a mandate from management that their widget now needs to communicate wirelessly with other things, they don’t necessarily consider it an IoT device. To them, it’s just a new design requirement. 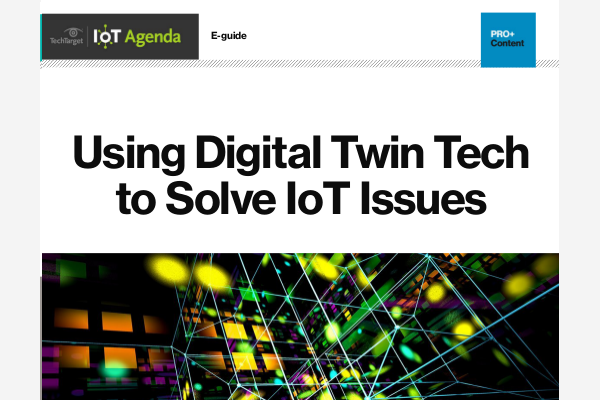 This disconnect over modifying a widget to communicate wirelessly versus designing a fully functioning IoT device is a crucial misstep and a potentially costly mistake. Virtually any mundane item can be converted into a wirelessly connected device. Creating one to stand the test of time and onslaught from competing products is much trickier. To make devices “smart,” advanced technologies must be utilized and that introduces complications. A radio must be added to the device to enable its communication, and it must be able to send and receive information. The device must work in an environment with other devices sending and receiving information at the same time, and potentially interfering with its communication. It may even have to operate unattended for long periods of time. Standards must be considered and industry regulations complied with. Figure: Modern smart ovens can be controlled via a simple iPhone application, allowing users to simply and quickly do things like change the oven’s cook setting. Source: Shutterstock. The device’s operation in the real world must also be carefully thought through and optimized to avoid issues — a prime example of which is a smart oven (see the Figure). What happens if there is interference from an unintended source, or if its communication circuitry generates unintentional electromagnetic interference? The oven’s operation might be compromised or behave in an unexpected or even hazardous manner. What if its communications function is not properly secured? 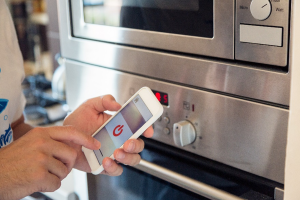 A cybercriminal could easily exploit this vulnerability to take over the oven’s operation or, worse yet, gain access to the home’s secure network. Suddenly, creating a device that wirelessly connects to things becomes a highly complicated undertaking. It’s one that demands complete company alignment, starting with management and trickling down to the engineers, and it requires a great deal of heavy lifting. That heavy lifting is essential for any company wanting to do more than just add to the IoT hype. Learn what you don’t know. Fully research and understand the market where your product will play. Who are its consumers and what are their expectations? Are there any specific design requirements that must be met? What do competitive offerings look like and are there any gaps between the functionality they deliver and what consumers want or need? Create a strong IoT foundation. Ensure management’s IoT goals and the engineering team’s understanding of those goals are fully synced. Make sure all parties are aligned on the nuances of developing an IoT product and how it differs from previous products the company developed. Build a strong team. Make sure the development team is staffed with the right skill sets and ensure each designer has access to critical training and IoT educational resources. Designing a widget that connects to the internet does not make someone an expert in developing IoT products. Consider hiring IoT-specific designers if needed. Utilize the right design and test technologies. Choosing a technology because it has a low price often costs a company more in the long run, especially when discovery of bugs during manufacturing or product recalls are concerned. Instead, look for precision systems with a range of functionality that can be scaled as needs change. Precision measurement can make all the difference between, say, a battery that runs days versus hours on a single charge. Ask for help. You may not have the IoT expertise you need in-house to tackle an IoT project and that’s okay — if you aren’t afraid to ask for help. A trusted test and measurement vendor can be a great place to start. 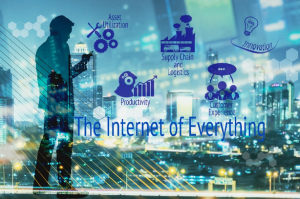 To develop tools to test IoT, they’ve had to be intimately involved in the IoT industry, the various standards bodies and industry organizations. Their expertise and insight into how to avoid common IoT development mistakes can be a huge boon to your efforts. Despite all the overhype, IoT is clearly not going away. It would be a mistake for companies to think that succeeding in this market requires little more than ensuring their products can wirelessly connect to things. Developing and deploying IoT products that consumers will pay for requires hard work. That work must start with building a strong IoT business plan that’s supported by the right ideas, people and tools.